On July 14, 2018, Cuba’s new president Miguel Díaz-Canel addressed the closing session of the Union of Cuban Journalists’ (UPEC, Union de Periodistas de Cuba) 10th Congress. He dealt with a variety of issues. However, one of his comments is creating some controversy in Cuba and outside the island, for example in the English-speaking world alone in the U.S., Canada, Austraila and the UK. What did he say? It was concerning the “new revolutionaries” appearing in some media outlets. Thus. I am reproducing his entire speech. This is followed by the publication of the full ironic article by Cuban journalist Manuel H. Lagarde which is quoted as you see below by Díaz-Canel. Both appeared in Granma, the Cuban Communist Party official daily. Other “new revolutionaries” or their supporters remain in the shadows, hoping to ride out this controversy in the futile hope that it will dissipate itself. Thus, they desire to avoid the public embarrassment of siding with those who covertly oppose the Cuban Revolution. Speech by Miguel Díaz-Canel Bermúdez, President of the Councils of State and Ministers, at the closing of the 10th Congress of the Union of Cuban Journalists, in Havana’s International Conference Center, July 14, 2018, Year 60 of the Revolution. Well, to begin to comply with the mandates of the Congress, and support Ronquillo and the new leadership, before December, I’ll be on Twitter (Applause and exclamations). Following our most recent tours through several provinces and the days of this Congress, two scenarios that allow us to more closely share experiences and meditations with the national press, I have better understood why Fidel once asked you to consider him one of your own. Cuban journalists have the indisputable merit of having upheld the voice of the nation in the most adverse circumstances and moments, with admirable loyalty, a great sense of responsibility, talent, intelligence, and contagious enthusiasm that always generates interesting proposals. No less was and is expected of those who are proud to belong to a guild ennobled from its beginnings by intellectuals of the statue of José Martí, Fidel Castro, and the most brilliant leaders of the Revolution, from 1868 to the present day. Today, after long and tiring years under the simultaneous siege of the most severe material shortages and the unacceptable lack of appreciation of some of our own sources, it is legitimate to recognize that the majority of you have had to struggle very hard to practice with dignity a trade that demands not only talent and effort, but also very elevated ideals, to reject – in the midst of great economic sacrifices – the offers of relatively “generous” payments that the lucrative industry of the campaigns against Cuba opportunistically and cynically makes available to those who have a price, or naively believe in the false libertarian discourse of market apologists. We could say that the media landscape was never so challenging and demanding, but we would be unjust to the history of a Revolution that has known no respite in its arduous efforts to gain all justice and that, from the first day, as Fidel’s phrase that has presided this Congress recalls, understood the central role of journalism in defense of a besieged fortress. How to imagine the rapid advance of the Rebel Army without the numerous clandestine and guerilla press or Radio Rebelde? What would have become of the nascent Revolution without the brilliant “Operation Truth?” Wasn’t the media war – that stole the name of the Apostle, broadcasting from an airplane – overcome with technologies and new journalistic projects that revolutionized radio and television at the time and still today? What we can say now is that although the ICT revolution, the Internet era, and the tyranny of companies engaged in the communications business present us with increasingly greater challenges as an underdeveloped economy, the country has not submitted to the rules of its enemy, nor ceded its sovereignty in the name of swift modernity. And that, no matter how many attempts we face to return us to the past of sensationalism and private press under new masks, neither Cuban public media nor its journalists are for sale. I do not accuse unjustly. I point to the open war that is being waged against us from media outlets that, under the umbrella of better times in the always fragile relations with the powerful neighbor that despises us, have been escalating the attack on what unites us – the Party – and what defends us – our press – constantly discrediting both and attempting to fracture and separate what comes from the same roots and sprouts from the same trunk. “… The new revolutionaries swear over and over again that they are not hirelings of official thought, but they accept scholarships in universities of the United States, or receive journalism courses in Holland, where surely they teach them to defend socialism in Cuba. We must assume that such courses and scholarships are free. “The new revolutionaries call for disobedience when unity is most needed. For them, experts also in politics, the ‘judicial’ persecution of leftist leaders in Latin America, the soft coup and invasion attempts in Venezuela and Nicaragua, have nothing to do with Cuba. “The new revolutionaries are democratic and respectful of opposing views, which is why those who do not share their positions are: submissive, sheep, obedient, mediocre, Taliban, Khmer Rouge, Stalinists, pro-government, and repressive. Lagarde’s text is just a little longer, but these ideas are enough, as they define the most urgent challenge of this era in this part of the world. I know that the theoretical documents and debates of the Congress, without ignoring, forgetting or dismissing internal pressing needs, which, when all is said and done, are also strategic, have pointed to the centrality of this ceaseless battle between the selfish and exclusionary logic of capital, and our socialist and martiana, fidelista, solidary, and generous logic. Because, although they sell us another version of the facts, the stubborn reality is too obvious, taking its painful toll on those who believed the wolf was a sheep. It either is to be or not to be, since the times of Shakespeare. Of course, the Congress has been much more than this central debate and we are glad. Firstly, it is worth celebrating that we arrive at this tenth edition with the Social Communications Policy, a document that defines, at last, the access to information, communications and knowledge as a citizens’ right and as a public good; that grants the highest authority to press executives; that cross-cuts society and establishes obligations in this sense for institutions, bodies, authorities; that defends the values and symbols of the nation and mandates respect for the diversity that we are. That declares communications a strategic resource of the state and government leadership, and defines the public nature of broadcasting and communications services, and recognizes only two types of ownership of the mass media: state and social. UPEC and the Faculty of Communications of the University of Havana have been an active part of the drafting of this policy and its adjustment and adaptation to the current times. Virtually the entire guild has participated in fundamental discussions for its subsequent application. There is enthusiasm in the Congress for the doors that open to historic and recent concerns of the sector, such as the management systems that grant greater autonomy to media outlets and their strengthening, ordering, technological renovation. I understand that those who are not invited to the analysis, as they are not part of UPEC, nor of the Cuban society that won with sacrifice and efforts the exclusive right to discuss how to design the future, are furious. And, of course, we are not surprised that the hirelings of global monolithic thinking, in their Creole or foreign version, have begun to launch rivers of intrigue against the Party and the country’s media system. What did they expect? What do they suggest? Perhaps that we surrender, for example, our news agencies into the arms of the market, and their journalists to the street? Well no. Our Télam will not be bled. The International Monetary Fund doesn’t rule in Cuba. According to the reports I have received from the first days of the Congress, this has been a successful event, with shorter reports and solid and contributing proposals, based on the experience of the grassroots of the organization in the media and academia. I believe this is because UPEC has not ceased to function over recent years, not even in the most disconcerting and harsh, when you lost you natural and formal leader, brother Moltó, as I know you like to call him, for the spirit of camaraderie that he left as a work style and his special relationship with the rank and file at any level. His brilliant definition of what UPEC is for, his battle to sign up youth in any fight Cuba faced, and even his ability to promote the computerization drive, the use of social media, and the concentrated use of the contributions of the Faculty, leave a roadmap along which the renewed national committee will travel from today, without breaking continuity. 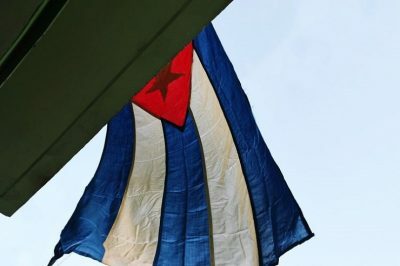 The summaries of the commission will be a useful working tool to assume new media spaces, unafraid, creatively on the offensive, overcoming the technological advantages of the colonizing platforms with the talent and creativity that our fighting nature and the cultural and political heritage that Fidel left us, that Raúl and his compañeros of the historic generation continue to offer us. I don’t forget the strongest demands you have made: salaries, insufficient and anchored in old resolutions that must be discarded; the precarious material situation of the media and journalists, an issue where light is already beginning to appear at the end of the tunnel of our eternal scarcities, at least in the provinces, where the needs of journalists and their media have been taken into account with the use of 1% of the territorial contribution (local income). No one is better prepared than you to understand that what is pending is much more than the need of a guild. It is the need of a people, noble and hardworking, whose human, heroic and moving stories are yet to be fully told. As the country that our media shows is to better resemble the country that we are. Material resources may be lacking, but never the moral resources and revolutionary ethics, which you contribute daily, that which Víctor Joaquín and Aroldo defend. By defending these values, we are Cuba! As I have asked you to consider me one of your own, I also feel a great responsibility in the great task that lies ahead of you and of us, the Party, the state and the government, to settle our numerous debts with past and recent history, which at the same time are with the future. Yes, the truth needs you. And as the Revolution, Martí and Fidel taught us, the truth is bigger than ourselves. We will be seeing each other on the path to that horizon that we owe ourselves.